Microsoft Finally Puts Out Some Number – Is The Windows Phone 7 Doomed? There has been a lot of speculations about the sales figure of Microsoft’s Windows Phone 7. The general belief was that it is not doing so well. They are said to have sold around 40,000 phones on the first day and Microsoft repeatedly avoided questions about the sales figure. Today Microsoft have published some numbers – they have sold 1.5 million Windows Phone 7 devices to carriers and retailers in six weeks. However that is not the number that we wanted to know. Notice the words “mobile operators and retailers” not “users”. The 1.5 million number is not the number of devices that consumers have bought, rather it is just the number that has been sold to carriers and retailers. Competitors like Android and iPhone like to flaunt their activations per day. Why, then, is Microsoft still hiding these numbers? The number of phones which has actually made it to costumer’s hands, I suspect, might be quite lower. The number they have sold to the carriers and retailers does not mean anything. 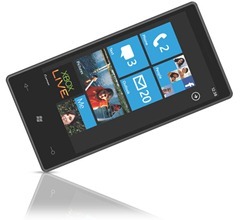 Windows Phone 7 was launched in a really really big way – 10 devices, over 60 carriers and more than 30 countries. Microsoft also reportedly spent over one billion US dollars on an advertising campaign for Windows Phone 7 and Kinect. What they have for that is a really tiny number. As I have noted above, the actual sales figure will be much lower than 1.5 million. However, even if we consider 1.5 million as they number they have sold to customers, it translates to a around 35,000 activations per day. This number pales in comparison to Android’s 300,000 activations per day (this is the actual number of phones at user’s hands). And Apple reportedly sold more 1.7 million iPhones on its first three day. Yes gaining market share in today’s market can be tough and Microsoft still maintains that the sales has been in in line with their expectation. But for the the phone that is supposed to bring about the death of the iPhone (remember the iPhone funeral? ), this is a disappointing number whatever they say their expectations are.